As part of ‘The Garden Project’ I had to undergo a fair old amount of weeding and pruning but that was all before I even started on the front of the house. 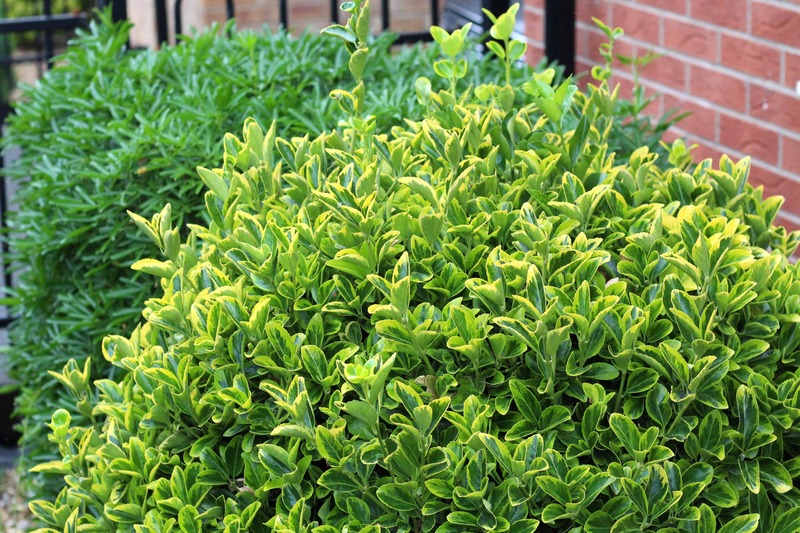 We don’t have a huge area as a front garden but we do have two large shrubs that required some taming. I had tools that could shape them but I needed to prune down the branches first, which had become a ‘little’ wild during the Winter. 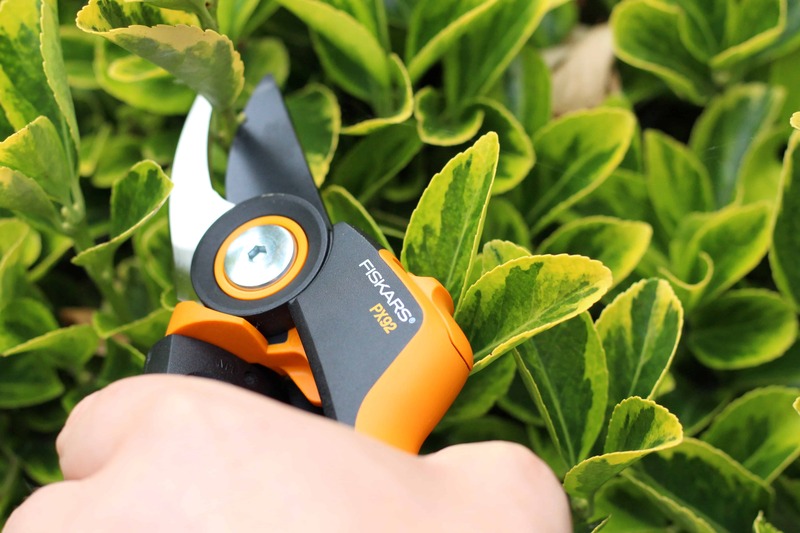 This was absolutely going to take a big amount of work and effort so it was about time I put the Fiskars PowerGear X Pruner through its paces! Out of the whole ‘Garden Project’ the front garden is by far the part that needs the least work – or so it seems. On the surface, it just looks like a few weeds and a few bushes that need taming. Underneath however the branches are thicker and unruly and I wasn’t sure any tool would be a match. I didn’t want blisters or sore hands so I was tempted to wave my white flag on this one and call in a professional. Then I realised I made a commitment to do this whole ‘Garden Project’ without the help of professionals and just my amateur experience. The whole point of the project was to prove that I could take this garden and make it into a space I enjoy. I COULD, not someone else. So, I pulled up my socks and I got down to business. Fiskars have always made the best scissors. In fact, just looking on their website I see so much in the line of crafty supplies it makes me want to down tools (LITERALLY!) and start crafting. My crafting skills however are about as good as my garden skills so maybe I will leave that there for now! 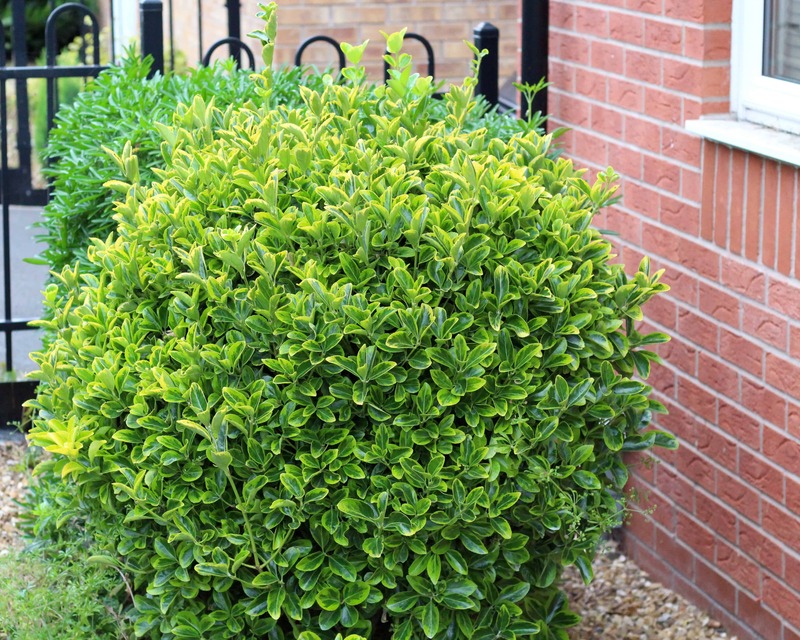 Anyway, Fiskars are a well-known brand to me but I had never used any of their garden or outdoor range and I knew beyond any shadow of doubt that this pruning required something more substantial than some household scissors. 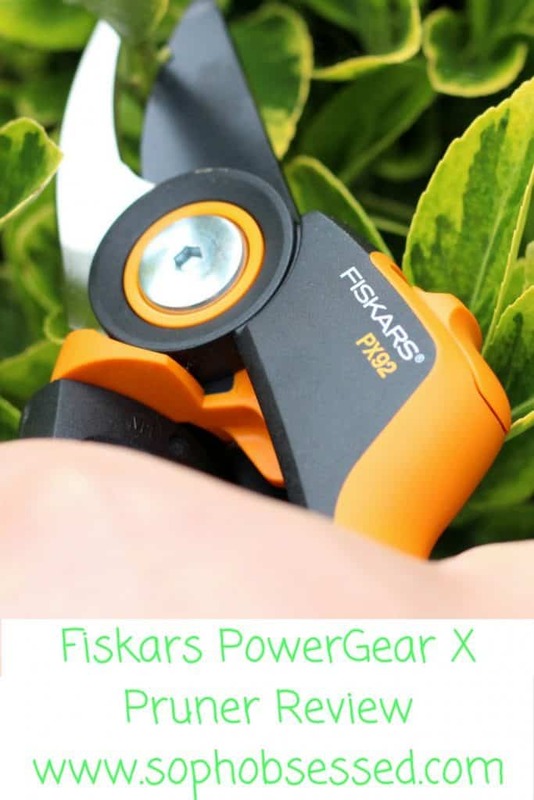 The Fiskars PowerGear X Pruner claims to have 3x more power and honestly, I need all the power I can get! They are optimised for small and medium sized hands which is ideal because there is nothing worse than trying to handle a tool designed for the BFG’s hands especially when you have no clue what you are doing!! Being lightweight, with a soft grip they are comfortable to hold and balance. From a safety aspect, they have an easy to apply safety lock which helps for storage and handling! Honestly? I was really impressed! 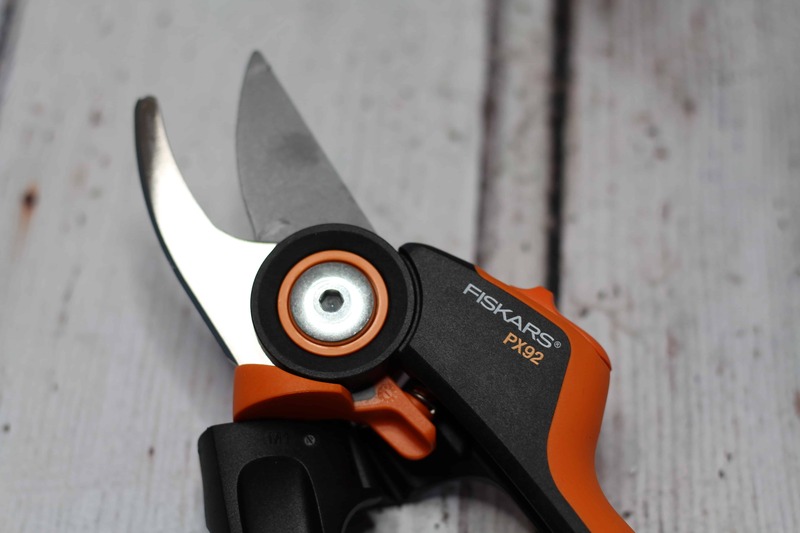 I don’t think I could have undertaken the task so easily without the Fiskars PowerGear X Pruner. When using them they just felt like they moulded in my hand which was comfortable and to actually use them there was no harsh jerk action or surging through my bones. The pruner has a soft rolling action which just easily flows with the pruning process making it simple and stress free on my hands. They were extremely sharp making the job of cutting a breeze and the blades themselves are from extra hard, corrosion resistant steel and the upper blade is coated to help with performance. I’m not sure pruning my front garden would have been as pleasant without the help of the Fiskars PowerGear X Pruner and I’m really impressed with what I found. Going from a job I dreaded having to tackle to actually coming out of it feeling like I could do it again and again I would say that’s a winning result!!! To learn more about any of the Fiskars range head over to their website here. 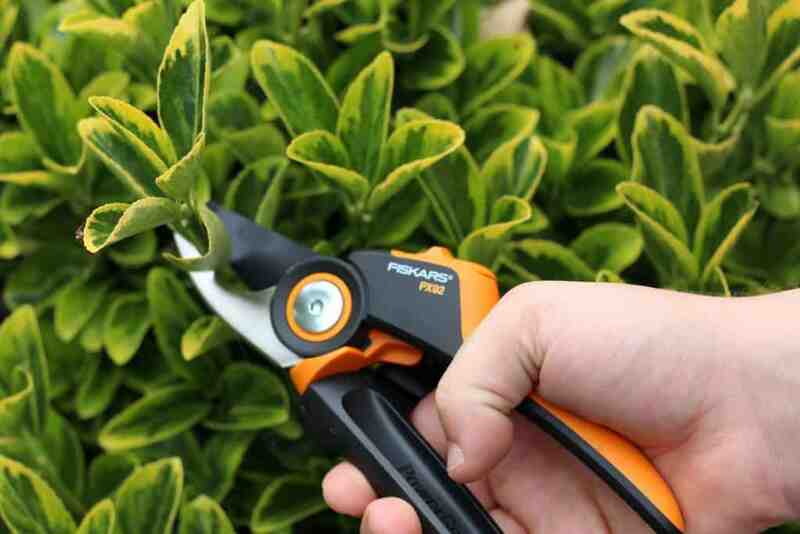 Have you ever used anything from the Fiskars garden tool range? To see more about ‘The Garden Project’ head over here. Thank you so much for stopping by! To see more about ‘The Garden Project’ head over here and if you want to check out some other great reviews don’t forget to head over here. 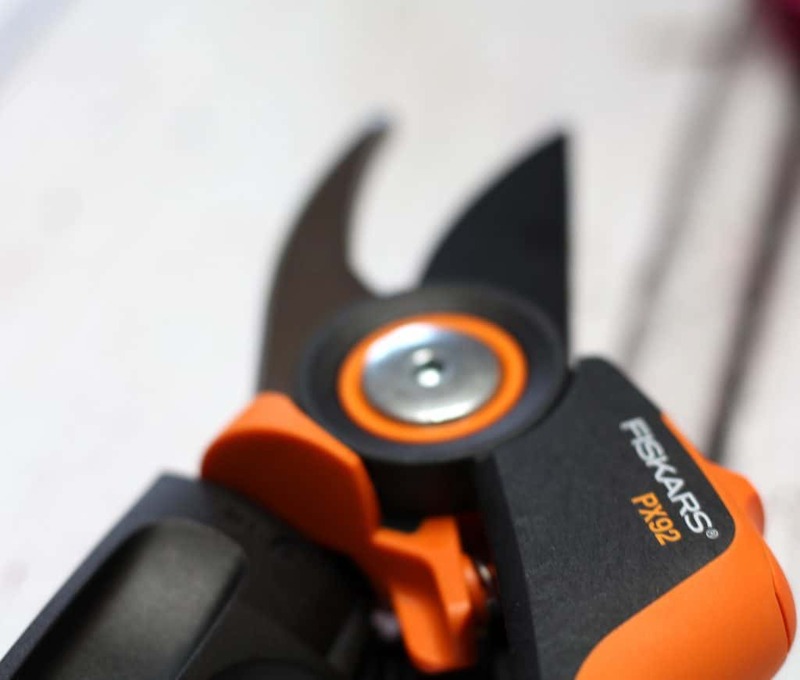 *I received the Fiskars PowerGear X Pruner on a gifting basis in return for an honest review. As always all words, opinions and views are my own. For more information on any of this please head over to this page.